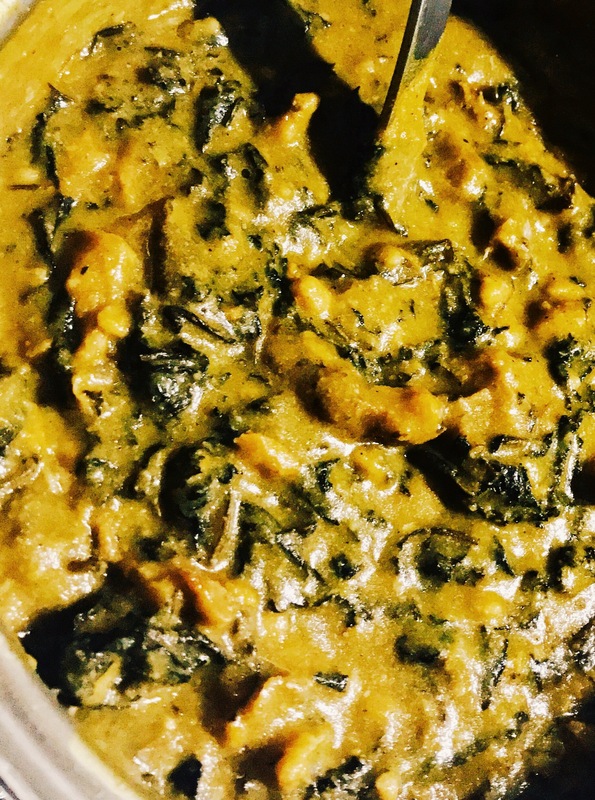 So, last night I battled to get done with most of the things lined up on my checklist….One of those was making bitterleaf soup with cocoyam flour. Even though tired, food is vital. How can I probably enjoy this specialty without telling you about it and without sharing the recipe with you? Some of my American family wants to know about it and I know you too will like to learn about it. Bitterleaf soup is one of the most traditional soups in Nigeria. It is native to the Eastern Nigeria most especially people from Anambra State. It is not necessary bitter as the name goes but the leaves have its own special aroma that creates a unique taste. The fresh bitter leaves must go through a process of plucking from the garden and washing it thoroughly till all the bitterness goes away. You can still purchase the washed leaves from the local market as you buy other things. During the prep, ensure there are no traces of bitterness. Most people cook the bitterleaf for some minutes to eliminate all bitterness. One thing that gives your bitterleaf soup that traditional taste is Ogiri ede, it’s so special and you can get it from the local market. During the prep, ensure there are no traces of bitterness. Most people cook their bitterleaf for some minutes to eliminate all bitterness. One thing that gives your bitterleaf soup that traditional taste is Ogiri ede, it’s so special and you can get it from the local market. 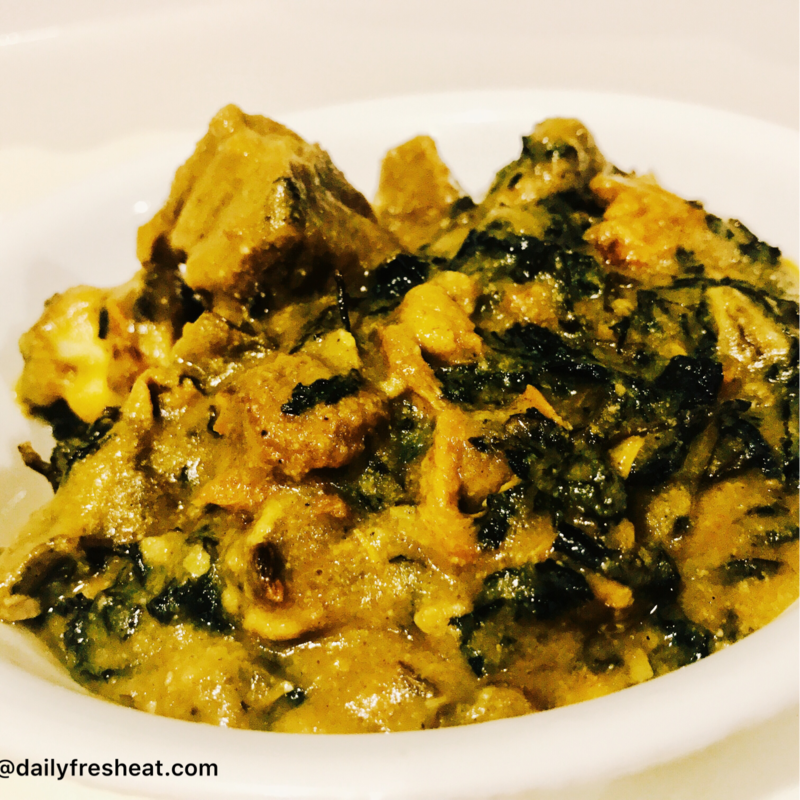 • If you are using dried bitter leaves, soak with hot water ahead of time to make it soft and fresh again or you can boil the leaves for 15minutes prior to making the soup to soften, then wash with cold water. • If you are using Cocoyam flour as a thickener, you either pour it bit by bit or miss it up with the Palm oil or water. • Wash and cook the cocoyam corms till soft, then remove the peels and use a mortar and pestle to pound the corms or manual stainless steel grinder to blend it to a smooth paste. • Season the beef (or assorted meat) with salt, seasoning cubes, and little onions and cook half done, then add stockfish, when they are almost done, add dry fish and cook for 5mins or less. 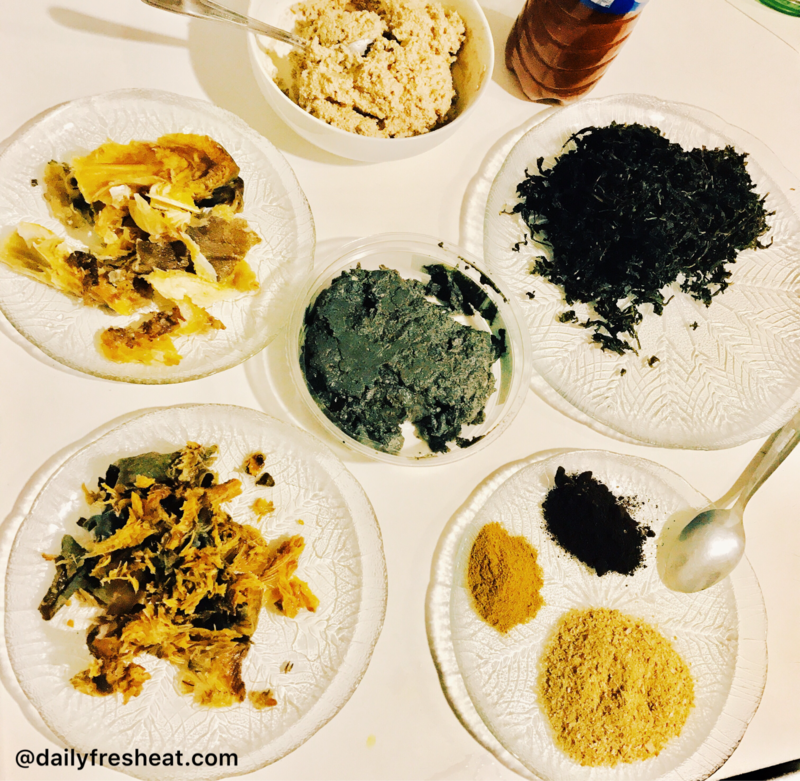 (You can add the stockfish at the onset of putting the meat, monitor and remove as soon as it’s soft, and add back when you are putting the other ingredients). • Add pepper, ground crayfish, ground uziza seed, ground okpeye then cook for 3 minutes. 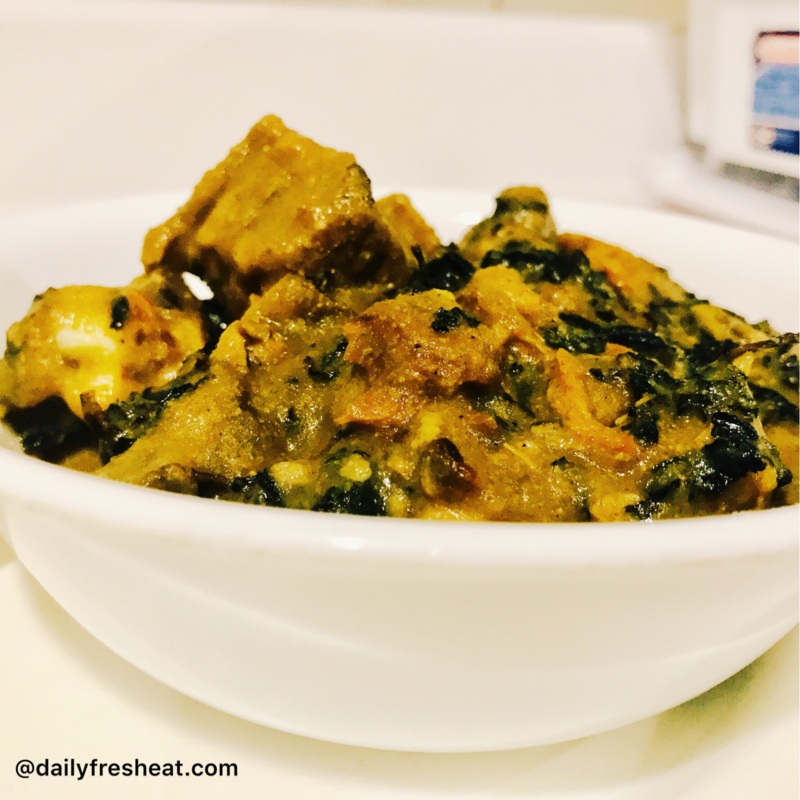 • Cover the pot and leave to cook on high heat till all the cocoyam lumps have dissolved. Add more water if the soup is too thick. • Add the bitter leaves and then the palm oil. Wow! You caught me here. This soup if well made, can guarantee a woman my HEART. Though I like it a little bitter which leaves you with its sweet after taste. Well done. Good …I like the bitter taste at times.